Hercule-Progres turbine. 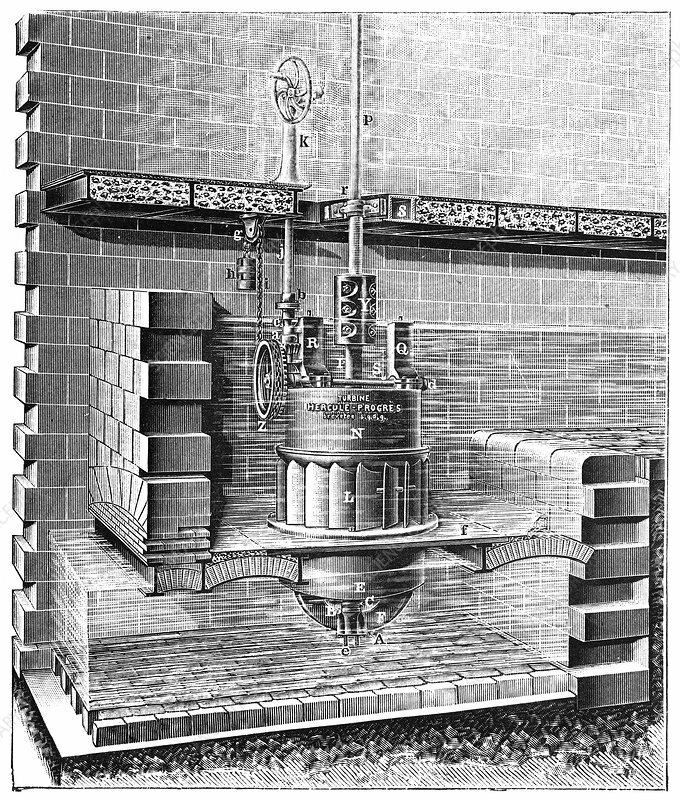 US-French Hercule-Progres design of water turbine, mounted in a masonry chamber. Water turbines are powered by moving water that rotates the blades (lower centre). A variety of designs were developed in the 19th century. This one had a guaranteed efficiency of between 80 and 85 percent. The label ('brevetee sgdg') indicates that it has been patented 'sans garantie du gouvernement' (without government guarantee). Artwork from the first volume (1897) of 'La Revue Scientifique et Industrielle' by French chemist and inventor Jules-Louis Breton (1872-1940).